Invader actor Alberto Ammann's transformation from a small-time Spanish actor to a full-fledged international star was years in the making. That transition couldn't have been possible without the love and support of a special lady. The Argentine received worldwide recognition after the release of Netflix original series Narcos in 2015. Earlier, he had made a name for himself in the Spanish speaking world by starring in numerous movies, plays and television shows. The third installment of Narcos premiered on 1 September 2018 exclusively on Netflix. Alberto character emerged as the most prominent player in this season of the Netflix original series. Born on 20 October 1978 in Cordoba, Argentina, Alberto, and his parents fled to Spain when he was a month old. The Ammann family would make a return to their native after four years of exile in 1982. His father, Luis Alberto Ammann was a journalist/politician/writer. Alberto, age 39, attended the school of Juan Carlos Corazza where he honed his acting skills. Later, he would join the Theater Seminary Jolie Libois, located in Cordoba. The Argentine made his big-screen debut in 2009 by starring in the Spanish film Cell 211. He played as Juan Oliver, a prison guard who gets his identity mistaken for an inmate when the prison is taken over. For his outstanding acting performance in Cell 211, he was awarded Best New Actor at the 2010 Goya Awards. His growing popularity in the world of entertainment showed no signs of slowing down as he starred in the 2011 Chanel Commercial alongside Keira Knightley. A year later, in 2010, he was cast to play Spanish poet Lope de Vega in the film Lope. 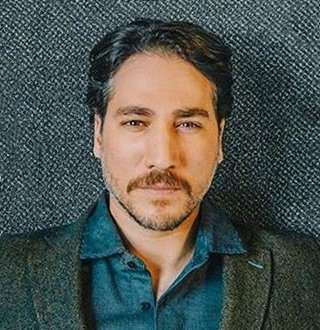 In his most recent project, Alberto stars as a hydrologist named Javier Delgado in Nat-Geo series Mars (2017). And in 2017, the release of television series, Apaches arrived on Netflix which is an adaptation of Miguel Saez Carral's book of the similar title. Alberto stars in the series as the protagonist, Miguel who is a young and promising journalist quitting his job to return to his old neighborhood in an attempt to save his family from ruin. Alberto stars with Eloy Azorin who plays as his best friend, Sastre who helps him find a way to right the wrongs and survive the hood. Within three seasons of Narcos, Netflix brought the action-filled story about the Colombian drug cartels of the '80s to life with Pablo Escober (played by Wagner Moura) as the centerpiece. Similar:- Don Diamont Self-Revealed Bio: Who Are "Bold and the Beautiful" Star's Wife & Sons? Along with the success of the series, Netflix decided to delve on Narcos: Mexico, which was initially thought to be a fourth season of the original series. But it turned out that that Narcos: Mexico wasn't a sequel at all; it was the highlight on illegal drug trafficking that is a part of a shared universe. And Alberto is seen in the series as one of the four Cali bosses including Miguel Rodriguez (Francisco Denis) and Chepe Santacruz Londono (Pepe Rapazote) in 1983. Alberto’s most mesmerizing performance till date has to be the portrayal of Pacho Herrera - a notorious gay Colombian drug trafficker and fourth in command in the Cali Cartel - in Netflix series Narcos. Season one of Narcos was released on 28 August 2018. Despite a recurring role in season one and delivering few noticeable moments in the season two of the series, Alberto’s character wouldn’t steal the spotlight until the airing of season 3 in September 2013. A sequence which featured Alberto and his partner sharing a seductive kiss - in the very first episode the series' third season - became a hot topic of conversation. Soon rumors of Alberto being a closeted gay was spreading like wildfire. Alberto’s performance of a gay drug lord is poignant to the point that you’d believe he’s gay in real life as well. Is Alberto Ammann Married To Actress Mendez-Leite? His Instagram account suggests that he and actress Clara Mendez-Leite might be dating. The pair has been pictured together attending numerous red carpet events hand in hand in the past. They had met at the set of the 2012 movie The Invader. While Alberto was cast to play the lead in the movie, his rumored wife-to-be, Clara served as an assistant makeup artist. The rumors of them being married grew exponentially after the duo opened an acting academy in their native land. It’s still unclear if the pair is married or not. Matthew Gilmour Age, 27, Expecting Baby No. 3 With Wife Elizabeth; Joyous Moment! Kirsten Corley & Chance The Rapper Escalate Dating, Engaged At Age 25!